40% of all households carry some sort of credit card debt. The average American household debt is around $5,700. The average for households that continuously carry a balance on their accounts is $16,048. Nearly half of debtors miss a payment or are late at some point in their financial lives. Managing credit card debt is simply something people don’t prioritize, which is when the financial problems begin. Credit counseling courses are one of the most underutilized services in the debt relief industry. Many people assume these are only for people filing for bankruptcy. These agencies offer a range of services from simple educational courses about debt and a review of debt strategies. Another benefit is they discuss money management solutions and even financial planning services. Also, most courses cost less than $100 and will only take an hour or two of your time. Debt management plans are essentially a strict budgeting method. Your debt payment becomes priority in your monthly budget and limit all other spending. Strategies like the “debt snowball” method or the “high to low” interest rate method are some examples. You develop a specific payment plan for each of your accounts and stick to it over the course of a few months to years. Debt negotiation is a plan to negotiate your debts directly with your creditors working to eliminate a portion of the balance or lower/freeze the interest rate. If you can secure a deal with your creditors. This way, you pay off your remaining balance much faster and save in the added interest fees over the following months. You get immediate protection from creditors while a plan is developed for debt resolution by filing for bankruptcy. Managing credit card debt is actually quite easy in the bankruptcy process. 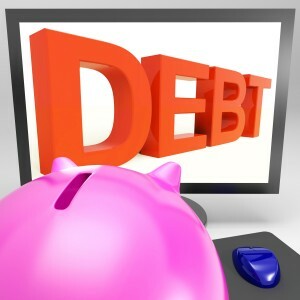 These debts are not priority debts and are not tied to any asset or collateral. As a result, you can eliminate your debts and protect your assets from foreclosure or repossession. It is important that you work with an experienced Houston bankruptcy lawyer when considering bankruptcy.